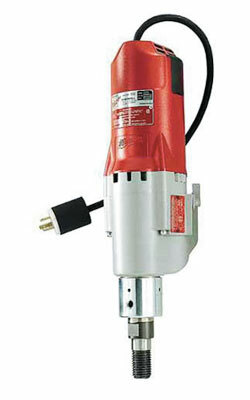 The Milwaukee Diamond Coring Motor Kit (4096) is used with Vac-U-Rig® and Dymorig diamond core rigs to drill holes into reinforced concrete. 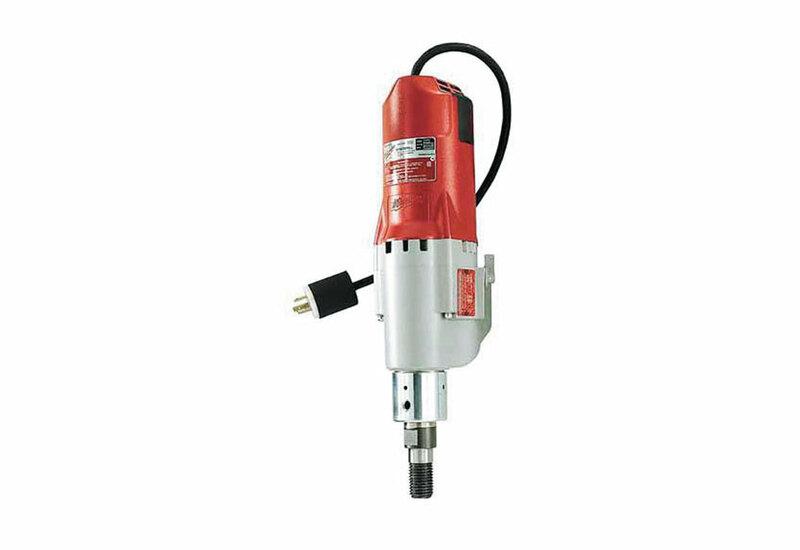 The motor has a powerful 15 AMP motor that provides core drilling power where 20 AMP service is unavailable, and this unit has a 500 RPM or 1000 RPM operating speed. This motor uses a clutch to protect gears and motor against overload. Shear pins are easily replaced and extra pins are included with the unit. This unit will handle core bits from 1-1/4" to 5" in diameter, and it comes with a built-in water swivel.